The epitome of beach house luxury, allowing guests to snorkel right in front of the villa. 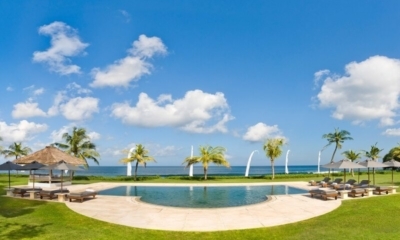 Villa Tirta Nila Beach House is situated in Candidasa, a harmonious seaside town in the east of Bali. The Villa is a beach house that has a direct open view on the Indian Ocean and its magnificent sunsets. 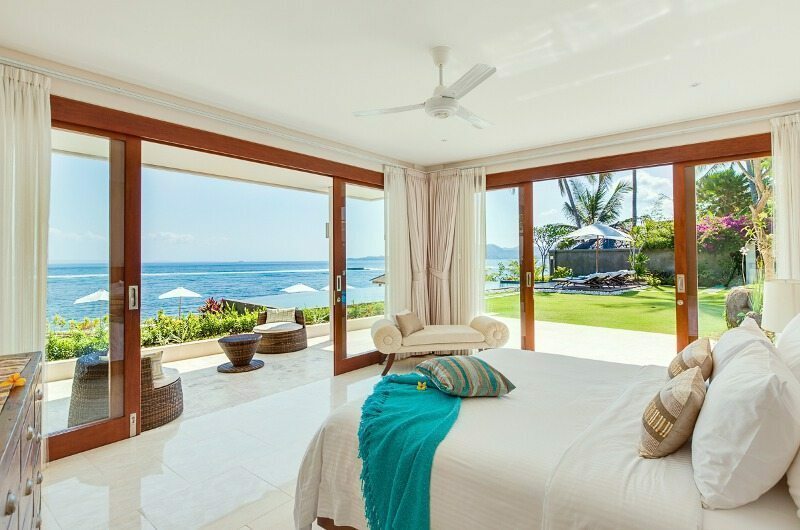 Consisting of 4 bedrooms fitted by king size beds and private bathrooms embracing modernity with traditional touches, Villa Tirta Nila Beach House is set to sleep 8 persons. The villa adopts the traditional Balinese architecture in its stunning modern style with foldable glass doors in every room to enjoy the spectacular sea view. The villa represents a perfect mixture of traditions and sophistication, it is furnished by modern and comfortable furniture, decorated by harmonious and elegant colors to please the eyes and fully equipped by modern equipments, air-conditioning and fancy objects to enhance your holiday. To keep you entertained, we Offer board games and internet access as well as a team of professional to look after you and make your stay as easeful and flawless as it should be. The villa offers a terrace so you can benefit of the beauty and charm of the Indian Ocean and its stunning extravagant sunsets, a breath-taking garden featuring an infinity private pool to give that illusion of blending into the ocean where you can enjoy swimming in the fresh air of the ocean. Between the mountains and the Bay of Amuk you can catch a glimpse of ancient Balinese culture, shimmering lotus lagoons and secluded trails leading up to Mt. Agung. Candidasa is over spilling with treats for all kinds of travelers. If you are looking for a laid back beach vibe, a taste of traditional culture, or to discover Indonesian nature then Candidasa provides the perfect stage to indulge in Bali. If you haven’t been to Candidasa then you really need to! It’s located on the East Coast of Bali and takes you back to what places like Seminyak and Canggu were once like. The area is nowhere near as built up and that’s what makes it so special. Truely a beautiful beachfront villa and amazing value for a 4 bedroom private villa.